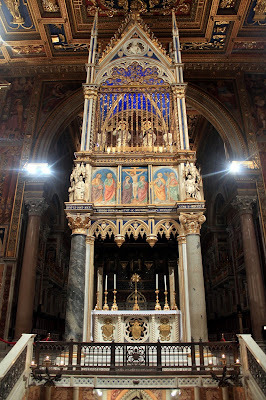 In the traditional Roman Breviary, the life of St Andrew the Apostle ends with the statement that “When Pius II was Pope, his head was brought to Rome, and placed in the basilica of St Peter.” This statement gives no idea of what an extraordinary event the translation of this relic was in the life of the Church at the time. St Andrew is traditionally said to have died in the city of Patras on the northwestern coast of the Peloponnese, which was usually called “the Morea” in the Middle Ages. In 357, under the Emperor Constantius, his relics were brought to Constantinople, and remained there until the city was sacked during the Fourth Crusade, when they were brought to the Italian city of Amalphi; his head, however, had remained at Patras. In the later years of the Byzantine Empire, the Peloponnese was made into its own principality within the Empire, ruled by relatives of the Emperor, and called the “Despotate of the Morea.” (“Despotes” in Greek simply means “prince.”) The last two princes, Demetrius and Thomas, were the brothers of Constantine XII, under whom the Great City fell to the Turks in 1453. The Morea, however, was not immediately invaded, and the despotate continued to exist for seven years afterwards. Partly as a gesture to gain the Latin Church’s support for a new Crusade to drive the Turks out of Greece and the Balkans, partly to prevent the relic of the Apostle’s head from being destroyed in the by-then inevitable invasion, the despot Thomas decided to consign it to Pope Pius II. 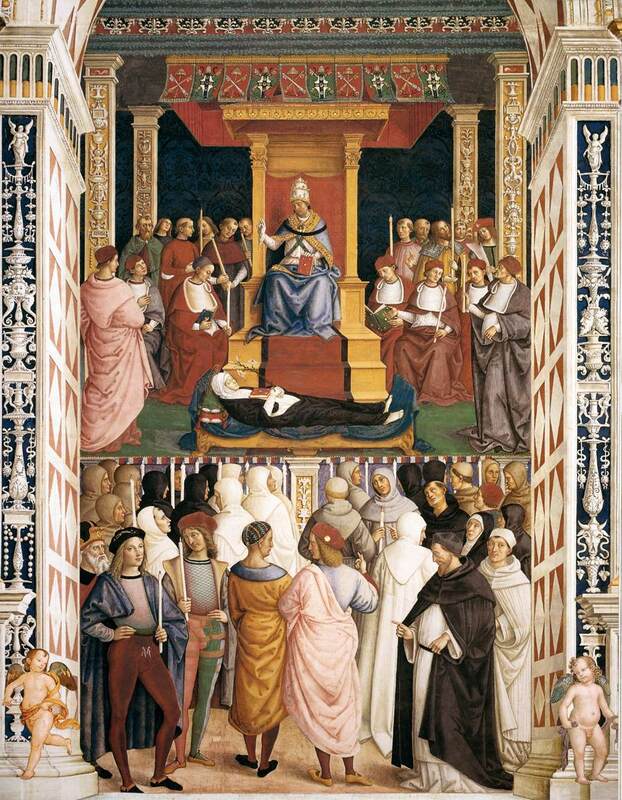 Pope Pius II Canonizes St Catherine of Siena, from the famous Piccolomini library in the cathedral of Siena, by Pinturicchio, 1502-8. 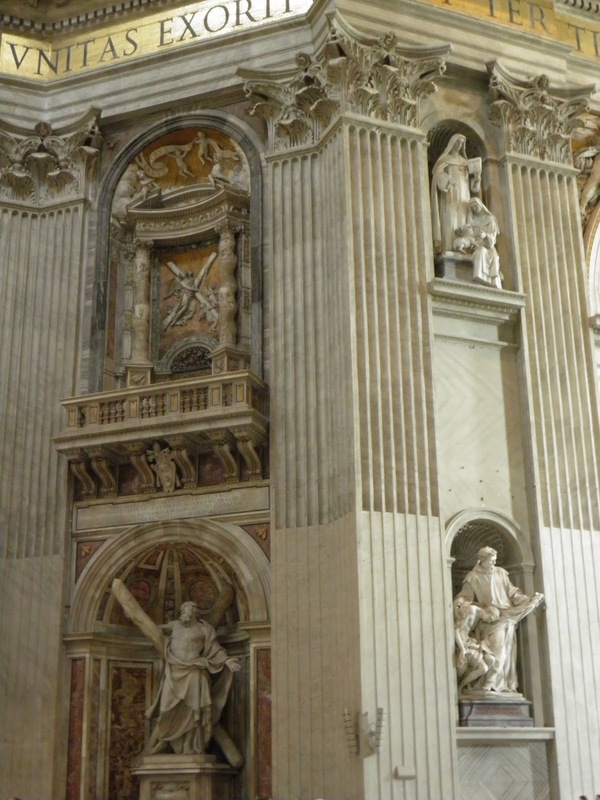 Pius was born in a small town within the territory controlled by Siena, where his family became especially important upon his election to the Papacy, and he was particularly proud of the fact that he was able to canonize a great “home-town hero” among the Saints. The proper Office of St Catherine still used to this day in the traditional Dominican Breviary was composed by him. We may be tempted to dismiss this as no more than a clever literary reference from an age very much enamored with clever literary references, but this would be unjust. The Latin word “pius” means “one who fulfils his duty”, duty to God, to one’s country, and to one’s family, and therefore, among its many meanings are “pious, devout, conscientious, affectionate, tender, kind, good, grateful, respectful, loyal, patriotic.” Under the heading of the last of these, Pope Pius died while attempting to rally the Christian princes to the defense of Europe, as the Turks prepared to press further into the Balkans, and cross the Adriatic into Italy. Under the heading of the first two meanings, “pious and devout”, Pope Pius devoted several pages of his autobiography to the events surrounding the reception of St Andrews’ head. After the despot Thomas had rescued the head from Patras, he brought it to Ancona, a major Italian port on the Adriatic, protected by its presence from severe storms during the crossing. Pius’ legate was sent to examine it, and declared it authentic, after which it was brought to the city of Narni, and left there for a time on account of political and military disturbances then flaring up in Italy. When these had died down, preparation was made for it come to Rome; the Pope had thought to go meet it by bringing with him the heads of Ss Peter and Paul which were kept in the Lateran, but gave up on this idea because the reliquary in which they were enclosed was too heavy to conveniently move. On Holy Monday, the Pope and his court, along with an enormous crowd of Romans, went forth from the Flaminian gate to meet the three cardinals charged with bringing the relic from Narni, close to the Milvian bridge, the site of Constantine’s famous victory so many centuries before. A large platform was erected in the middle of a field, so that all could witness the event, with two staircases on either side, and an altar in the middle. As Pius II describes the event, “as the Pope ascended the one side, weeping with joy and devotion, followed by the college (of cardinals) and the clergy, (Card.) Bessarion with the two others ascended from the other side, bearing the small arc in which the sacred head was contained, and set it on the altar… the arc was then opened, and Bessarion, taking the sacred head of the Apostle, weeping, handed it to the weeping Pope.” Pius then gives his address before the crowd. The Pope then lifted up the head for all to see, and the entire crowd knelt, most of them already moved to tears by the Pope’s oration. 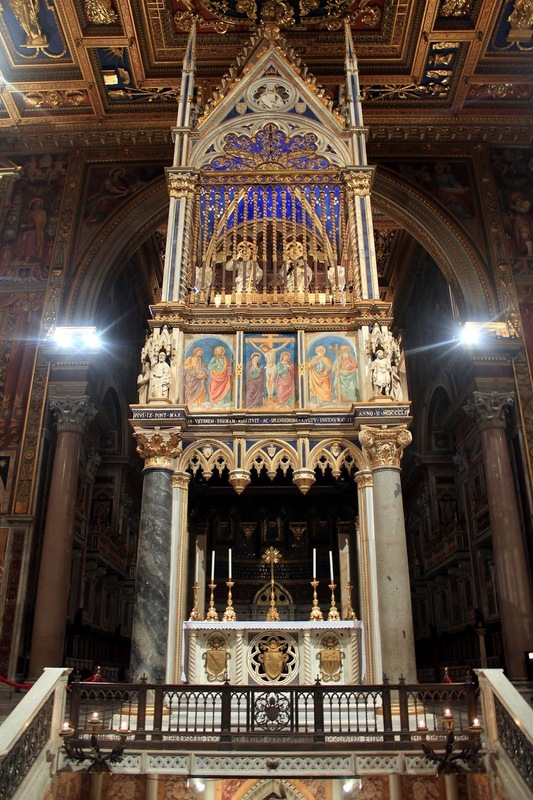 The relic was brought to the church of Santa Maria del Popolo, just inside the gates of Rome; from there, it was carried on Holy Wednesday under a golden processional canopy through the streets of the Eternal City to St Peter’s Basilica, accompanied by thousands of Romans and pilgrims.